Premiering at What The Fest!? 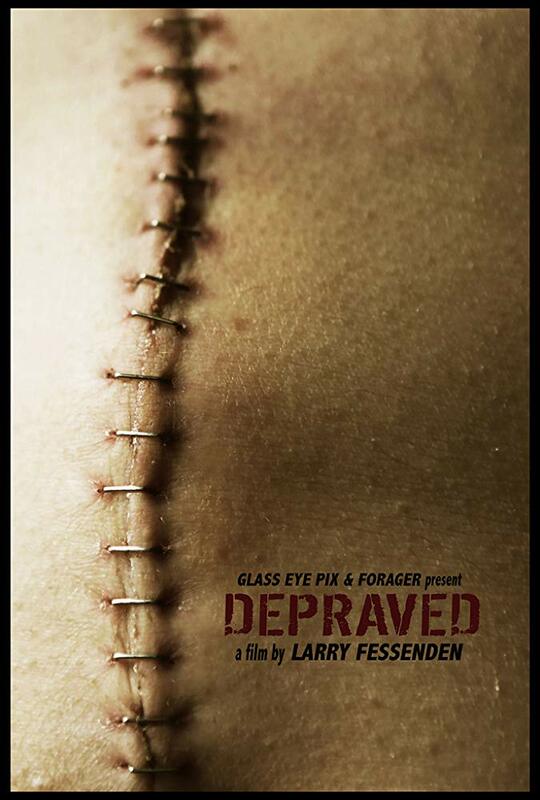 is Larry Fessenden's Depraved. Updating a classic, possibly THE classic horror story would probably not be recommended, there a number of things that can go wrong but Depraved - an update of Mary Shelly's Frankenstein - hits the right notes keeping the baseline of the story but adding some layers so it becomes its own story. Updating the setting to Brooklyn, Adam (Breaux) leaves his girlfriend Lucy's (Levine) house and he is brutally attacked, stabbed and left for dead. Waking up in a strange room, Adam is no longer himself, well not just himself. Henry (Call), a former field surgeon whose time serving has given him some PTSD, has 'repaired' Adam and saved him from death (by some very dubious processes) but as Adam develops Henry becomes aware that he has to protect Adam from not only the outside world but from Henry's financial backer and pharmaceutical consultant. As Adam learns from those around him, it is clear that his teachers are flawed and that Adam is becoming unstable. Breaux does well as Adam, it is more a physical performance and it is not because he is a massive guy or anything but the after effects of surgery and certain body quirks, whilst Call's Henry is a damaged guy that seems like he wants to do good and Leonard is great as the power and money hungry Polidori. In a film like this it rides on the performances and they certainly provides great returns here. Fessenden has managed to make this a compelling monster film but inside of that there are themes on education, what it means to be a parent, military PTSD and societal pressures. The chase to be the best or the richest, the best looking, to climb over your friends just to get to the top of the that pile. The themes of Frankenstein are universal but Fessenden has cleverly imbued his film with these other current issues. In this version both monster and creator are characters you can empathise with, the creator does view what he has made as horrific, just as something that must be nurtured - perhaps a nature vs nurture argument could be made here - for both sides of the argument. Unfortunately the ending didn't quite hit home enough as I thought the lead up to it wasn't carried through enough. The smaller budget doesn't hurt the film at all with effects on Adam looking good and the sparse moments of stitching or light gore are pretty much spot on. Depraved is a very thoughtful update on a much loved and revered story.